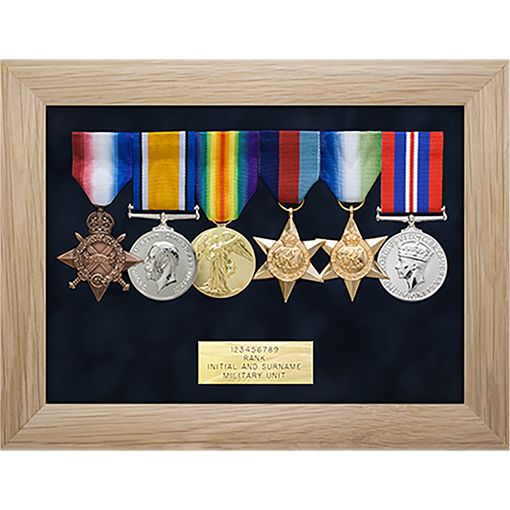 The standard military medal display frame is a fantastic way to display your or your family’s medals. 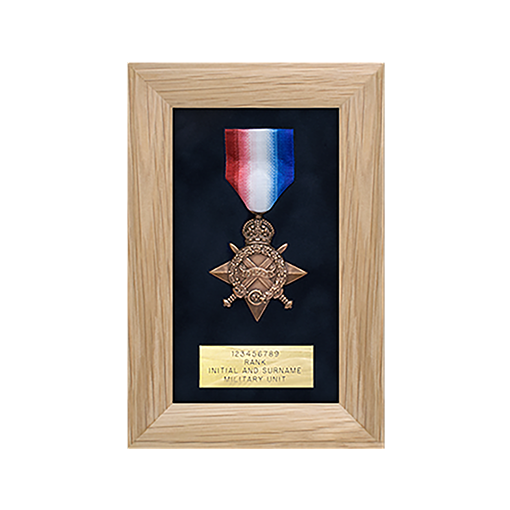 Made of solid English oak from a sustainable source the medal display frames are available in three colours of wood with a choice of three different backing colours. The addition of an engraved plaque really personalises the frame and adds a lovely finishing touch. The back of the medal frame is removable to allow the easy insertion / removal of medals for wearing and cleaning as necessary. Our medal frames are available in three wood colour choices. Natural English oak is the base colour and a deep through wood stain is applied to offer both rosewood and jacobean. The medal frames are dip stained rather than brush stained which gives a lifetime stain finish. Our unique mounting method means that the medals are easily removed and replaced in the medal frame. This means the medals are accessible for wearing or cleaning. A perfect way to keep medals safe, proudly displayed and available to you. The backing colour choices for your medal frame have been carefully selected in order to best accentuate the contents of the frame. The Navy blue in particular ensures that the medal ribbons do not clash with the background and therefore the medals are always the focus of attention, not the frame! 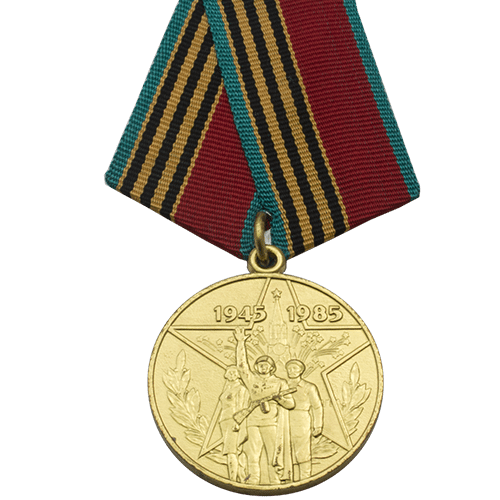 The back of the medal frame consists of the hanging string and turn down buttons. 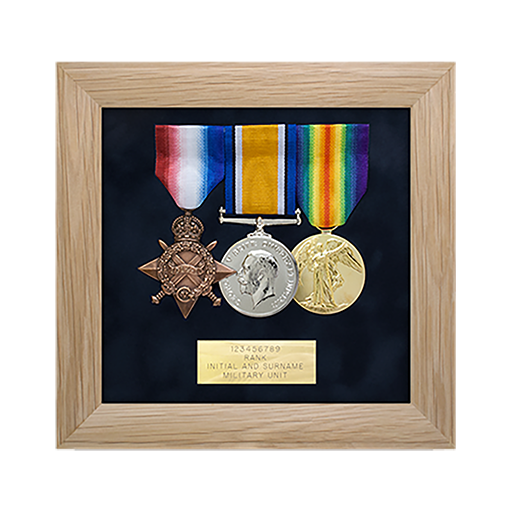 This arrangement means that removing the back to access the medals is hassle free whilst ensuring that the frame is secure when fastened. We take great care in the position of the hanging string so that the medal frame will always stay where it is hung.